2016 Circle of Change Awards from Community Television Knoxville on Vimeo. Meet the Producer – Bill Lundy from Community Television Knoxville on Vimeo. Graig Nettles from Community Television Knoxville on Vimeo. 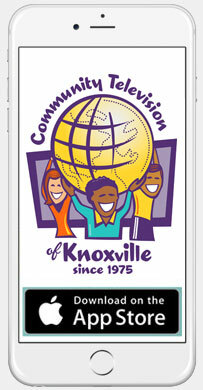 City of Knoxville – State of the City Address from Community Television Knoxville on Vimeo. The Change Center from Community Television Knoxville on Vimeo. People enjoyed a sunny Saturday, April 16th, as the 17th Annual EarthFest was held in World’s Fair Park. 2016 Chalk Walk from Community Television Knoxville on Vimeo. U.S. Navy Band performance in Knoxville, TN for Navy Week! from Community Television Knoxville on Vimeo.